Tom went into business as a private consultant after retiring from twenty years working as Senior Economic Geologist for the Alaska Division of Geological and Geophysical Survey (ADGGS). In addition to fulfilling a variety of contracts in both public and private sectors, he has worked for the USGS as a contributor to the ARDF Files and on several contracted mapping programs. Since 1984 he has cultivated a network of professional contacts in Russia, and travels to the Russian Far East regularly in support of the expanding interest in the development of mineral resources there. Tom is a Certified Professional Geologist (CPG#10912) with the American Institute of Professional Geologists. He is also registered in the State of Alaska (#652). Bundtzen has long been active in the Alaska Miners Association (AMA), serving as statewide President from 2003 - 2005, and is an original founder and current President of the Alaska Mining Hall of Fame Foundation. Tina's work as an undergraduate student of geology at the University of Alaska, Fairbanks, has complimented her increasing responsibilities as an employee of PRGCI. For six years she has been a valuable team member, both as a geologic assistant in the field and as an expeditor. Cheryl Bradley, CPA - Cheryl manages the bookwork for PRGCI. Gregory M. Laird - Greg has 20 years experience as cartographer and field geologist with the Alaska Department of Natural Resources. Since 1997, Greg has geologically mapped, designed soil, rock, and stream sediment sampling programs, and has evaluated mineralized prospects for PRGCI throughout the State. Mitchell Henning - Third generation and lifelong Alaskan Mitch Henning graduated from Alaska Methodist University with a BA Degree in Geology. 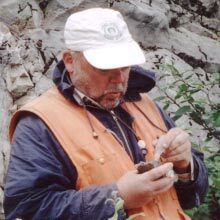 Mitch worked for many years, first as a geologist and later as a mine permitting and management specialist with the Alaska Department of Natural Resources. Mitch currently leads the PRGCI team with camp and land use permitting, as well as supervision of reclamation activities subsequent to cessation of exploration. 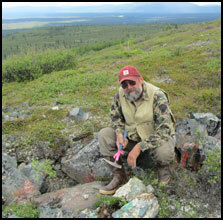 James Barker - James is a geological consultant specializing in Alaskan mineral exploration. 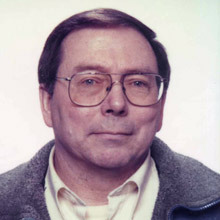 He has been employed in various phases of the Alaska mineral and petroleum industries since 1969. 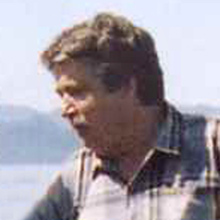 From 1975 until 1991 Mr. Barker was supervisor of the U.S. Bureau of Mines Fairbanks station from where he directed numerous mineral investigations throughout Alaska and authored numerous reports and presentations on the findings. Since 1991 he has served as an independent geologist on exploration projects for a number of clients throughout the 49th State, and has been a sub-contractor on several PRGCI projects since 2000. 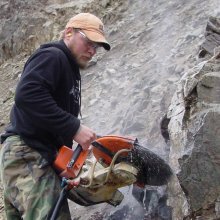 Mr. Barker holds a degree from the University of Alaska and is a Certified Professional Geologist by the American Institute of Professional Geologists (AIPG #8205). 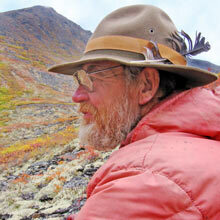 He is licensed by the State of Alaska to practice as a geologist. Landon Kelly - Landon, owner-operator of Kelly Digital Designs, a Colorado firm. He has spearheaded many of PRGCI's cartographic projects, and contributes computer expertise. He will continue to work with the firm when his busy schedule allows. 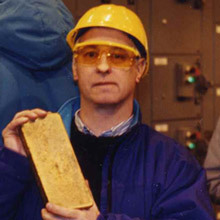 Eugene Sidorov - Platinum expert for more than twenty years, Eugene currently actively consults and conducts scientific research while managing in the ore deposits laboratory at Institute of Volcanology in Kamchatka. 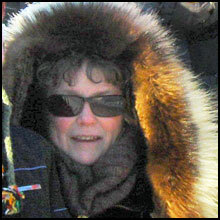 Sidorov worked under contract for PRGCI in several Alaska PGE districts. 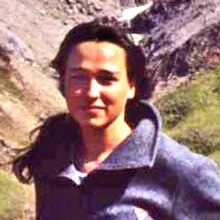 Larissa Karpova - Expeditor and translator who has worked with PRGCI on several projects along the Kamchatka peninsula. 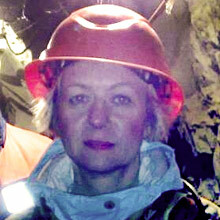 Larissa helped design the 2005 Alaska Miners Association tour of KGD's mining operations in Kamchatka.